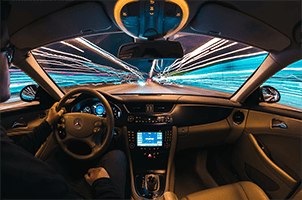 A new report from McKinsey released this month titled “Fast forwarding last mile delivery” illustrates how the rapid acceleration of tech developments in last mile deliveries is pressurizing both incumbent and new market players to evolve faster than they had planned. While these last mile developments focus on the final stage of the supply chain, they will end up having an impact on the entire ecosystem. Innovations such as electric vans, parcel lockers and smart door locks, which were mostly in pilot stages two years ago, are currently being deployed at scale. Over the next few years, the report expects the adoption of some of these market-ready technologies to significantly increase. For example, electric delivery vans are bound to flourish as cities tighten emissions standards. Semi-autonomous and autonomous vehicles are no longer a piece of science fiction for a distant future. In fact, the report suggest that within three to five years, large semi-autonomous vehicles that follow parcel delivery staff will be adopted by companies in the delivery segment. This will significantly increase productivity by cutting down on the time it takes to drive and park delivery vans. While there will inevitably be disruptors in the industry, McKinsey suggest that current CEP (courier, express, and parcel) players are well positioned to control the bulk of parcel volumes, estimating that they’ll still be handling 75 to 80 percent of all parcel volume in 2025. This is mostly due to the capital-intensive nature of building a full-scale logistics network, infrastructure and fleet. This last mile delivery report suggests that the savings accrued from utilizing cost-effective autonomous technologies in developed economies could add up to 25 billion euros annually. As a result, they expect that the entire industry around the creation and manufacturing of autonomous and semi-autonomous delivery fleets will blossom. Other technological innovation such as routing, tour planning and capacity management will also play a pivotal role in making it all happen. Established CEP players might have the infrastructure to survive and thrive, but they will have to embrace tech players in order to evolve. Technology will be at the core of any CEP, whether this happens through M&A or partnerships, helping them with various challenges such as creating better routing/delivery management software or establishing new logistic platforms to leverage existing supply chain data.